So, who doesn’t love brunch? Well, we at TNL certainly do. Surely you remember Ash’s review of Vivetha. Recently a couple of us met up with a friend who was in the city for a few days. We never have a reason to venture out to Brampton, but seeing a dear friend is a good one. 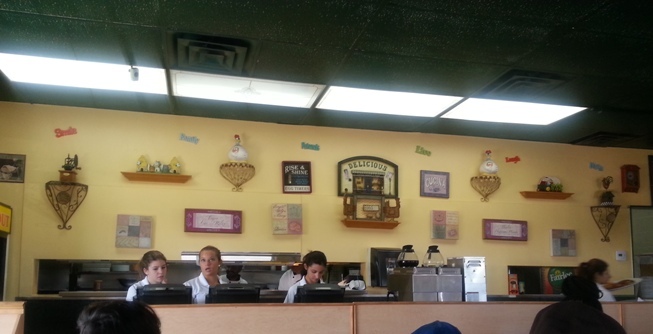 It was decided that we’d meet for brunch, and she chose this place because the “pictures of the food looked nice”. Well, here goes! The walls were adorned to the max and it gave the homey feel I think they were going for. I mean – dude they were covered. Some were random while others seemed to apply but it all worked well, especially while waiting to be seated. The place wasn’t very big and every table was occupied, which was a definite good sign. The girl who sat us ended up being our waitress, and initially she was very cold – borderline rude. We didn’t let it get to us but we thought: “well someone shouldn’t be working with people”. She did a complete 180 once we were seated, and we joked that it was as if she’d gone in the back and amped herself up with a pep talk in a mirror. She reappeared and was the sweetest thing, so she redeemed herself…. And her tip. Let’s be real, that stinky attitude almost cost her. It was really busy but it all moved quickly and we didn’t wait very long for our food after we’d ordered. 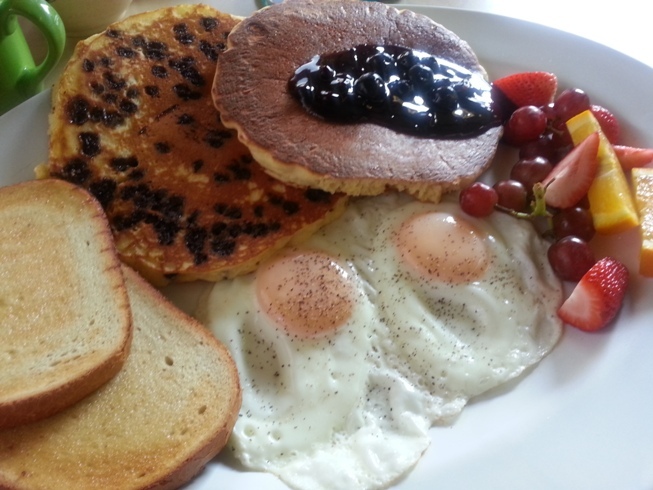 Pancakes and eggs and waffles – OH MY! 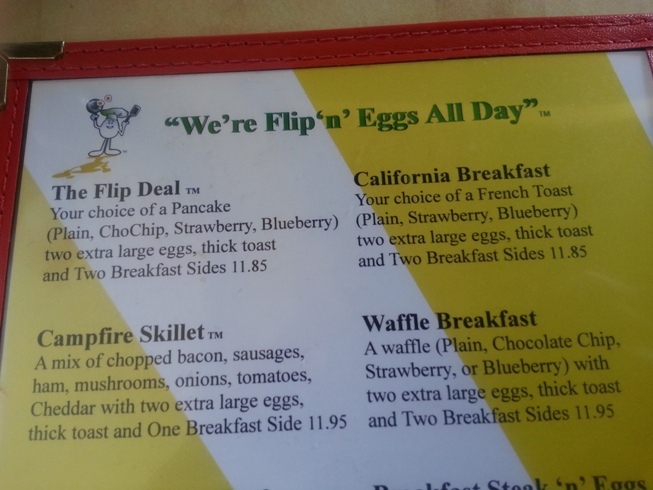 There were quite a few breakfast and lunch (sandwiches etc) options on the menu, but we fixated on the first page that described a Waffle Breakfast and The Flip Deal. When the food arrived it was all still hot and ready to be demolished. Do you SEE what’s included in those meals?! 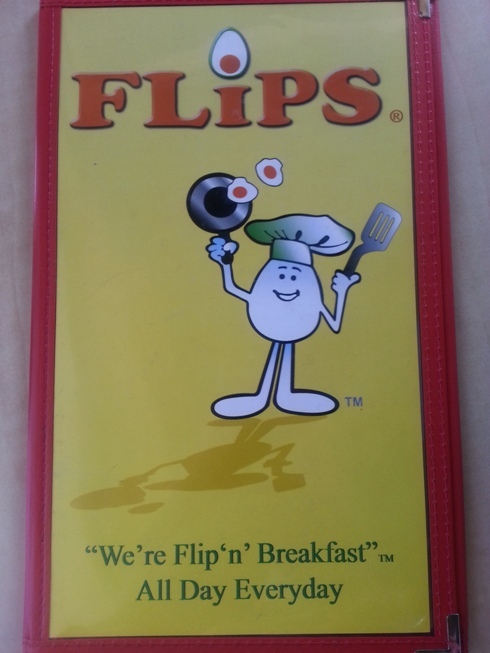 I ordered the Flip Deal with Home Fries and fruit on the side. The waitress had explained the fruit pancakes actually came with the sauce and fruits on top, as opposed to cooking the pancakes with the fruits in the batter. I liked eating at this restaurant and my friends made the same comment. We went there not knowing what to expect and left very, very satisfied. It’s too bad the restaurant is so far from us! I’d definitely go back. I just want to eat the pictures! Oh yummy! The food looked great! 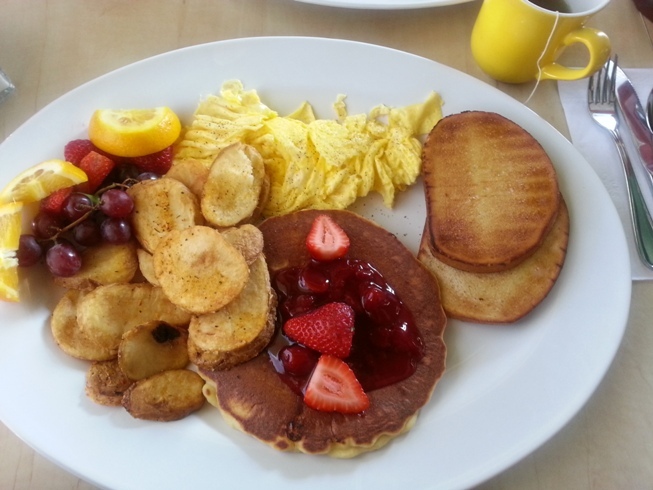 I love that the fruit came placed on top the pancake, rather than cooked into the pancake – that just makes them soggy sometimes. 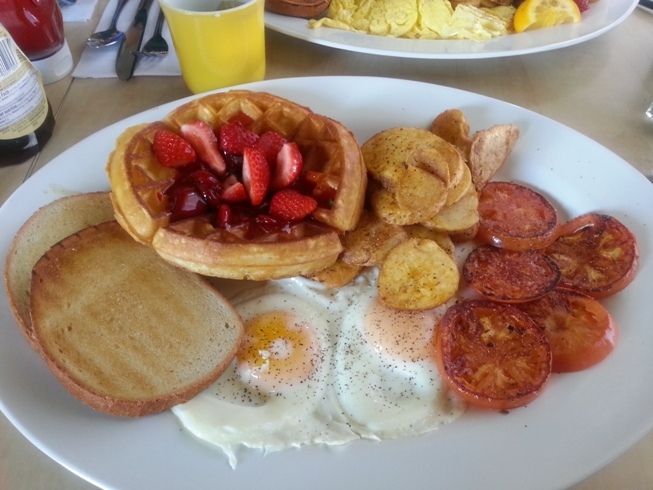 I also liked the fried tomatoes I saw on the side – yum! 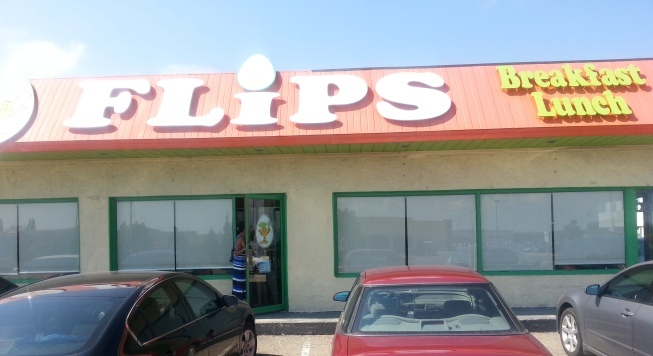 Thanks for a great review – I don’t get out to Brampton much, but do drive past it/ through it on the way to other places, so maybe I will get a chance to pop in and try it one of these days.